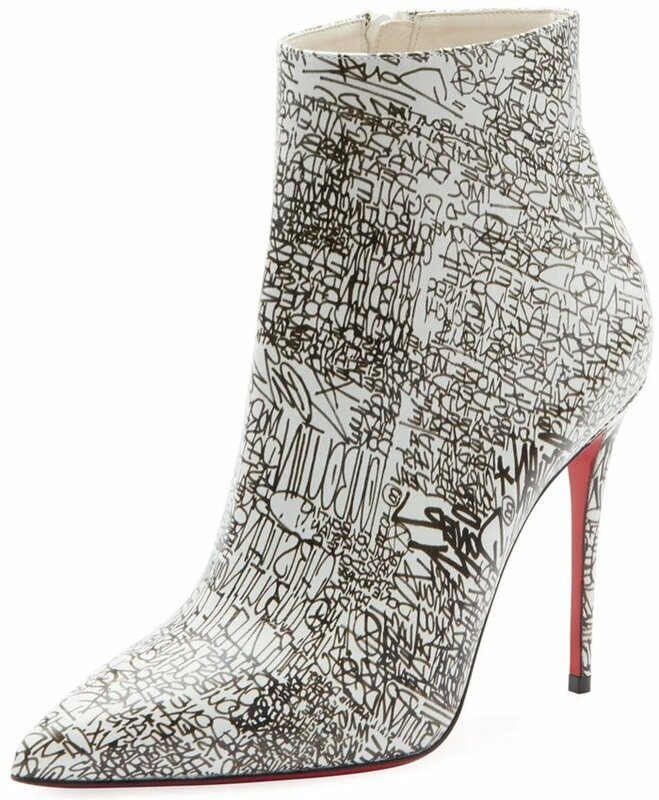 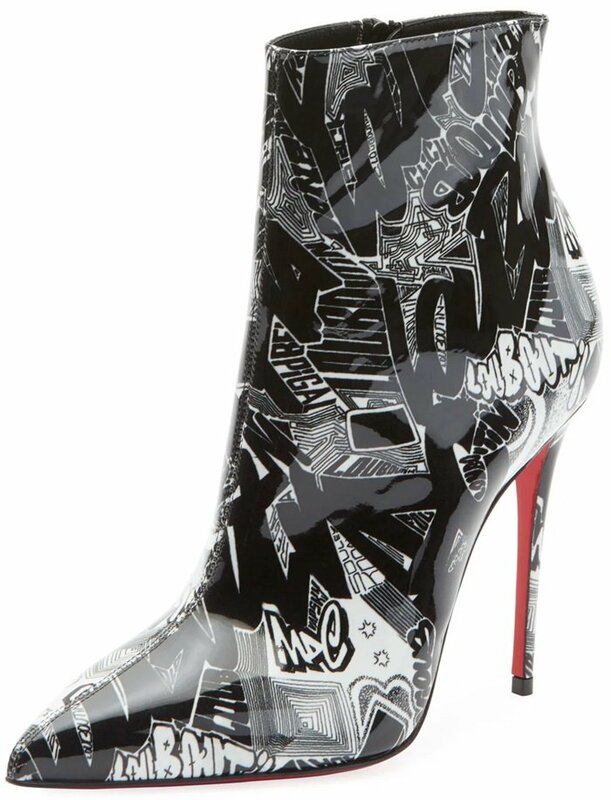 How do you like these Christian Louboutin So Kate booties in metro graffiti-print patent leather that just came in the door at Saks Fifth Avenue and Neiman Marcus? 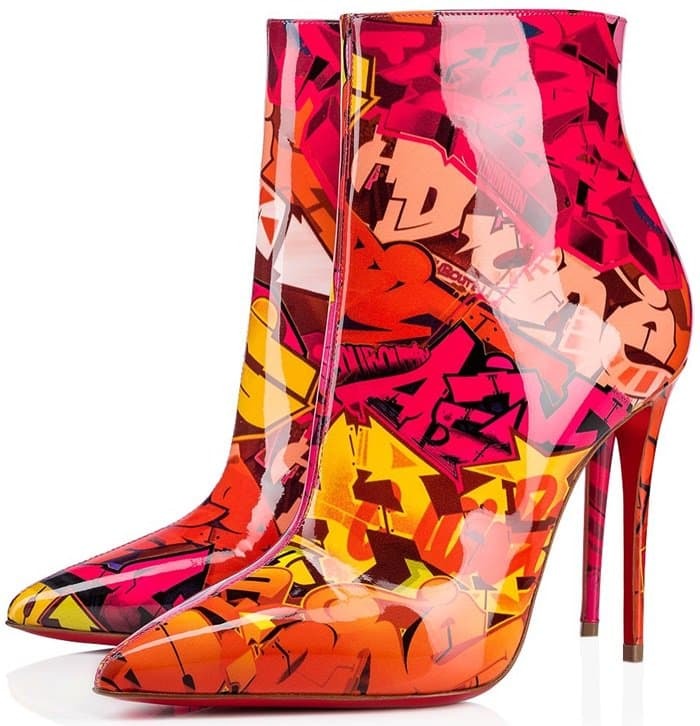 Inspired with elegance by the fervor of disco, this dope boot combines daring with refinement. 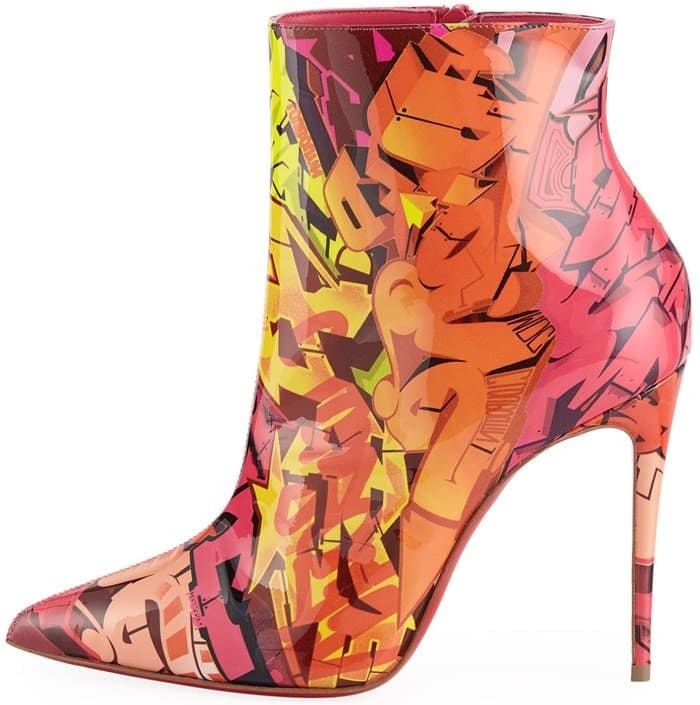 Made of multi-colored calligraphy-printed leather, it envelops the foot with expressiveness. 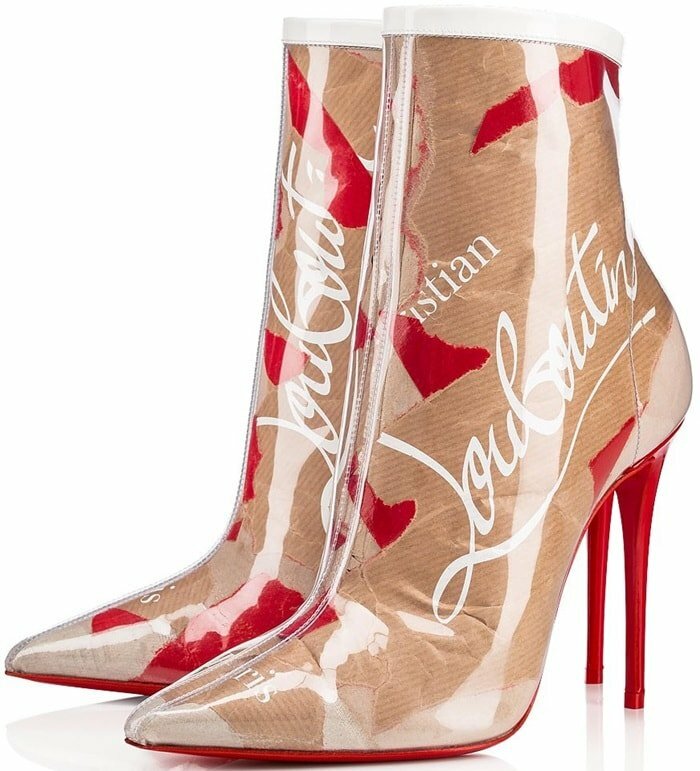 Gigi Hadid wore them with a custom orange Ronald van der Kemp Spring 2018 Couture silk shirt and matching pants while attending the Vogue Promo Tour ‘Gigi Hadid For Vogue’ in New York City. 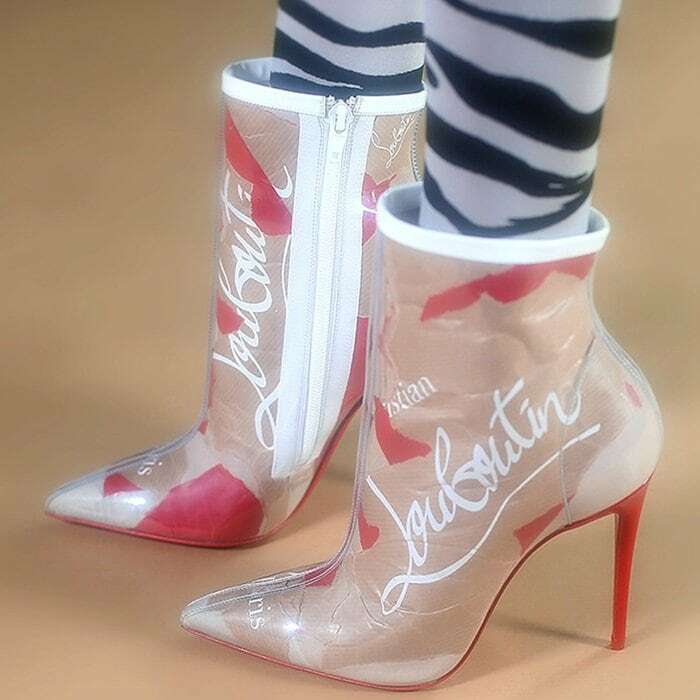 The 23-year-old model kept warm in a tangerine Moschino leather overcoat that you can buy for $1,347.50 at Moschino. 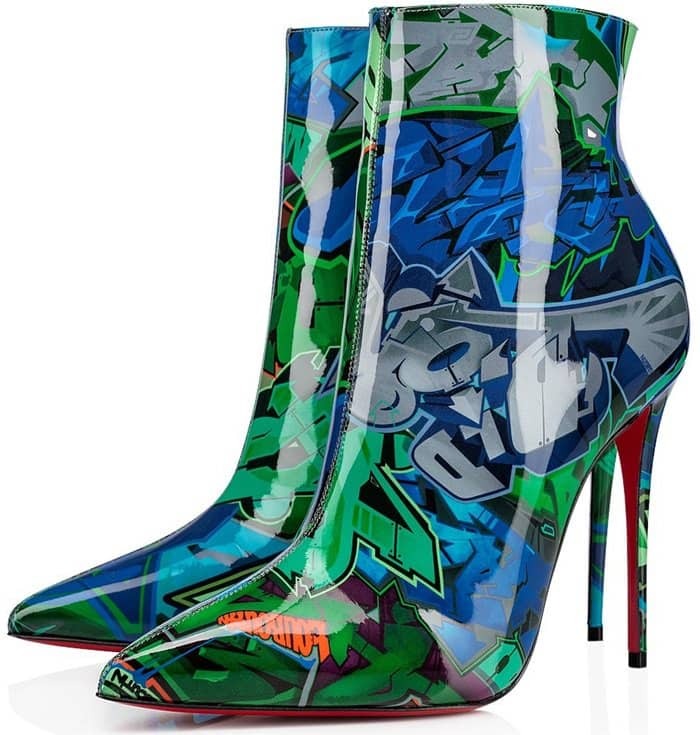 The in Taiga-colored Metrograf print version also pulsates with urban energy this season. 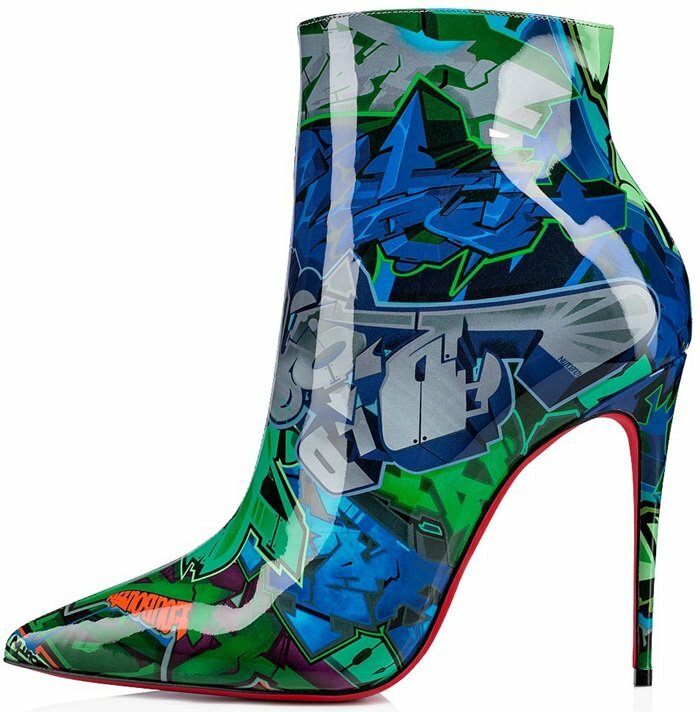 It creates a delicious juxtaposition where street art meets the utmost in class and femininity. 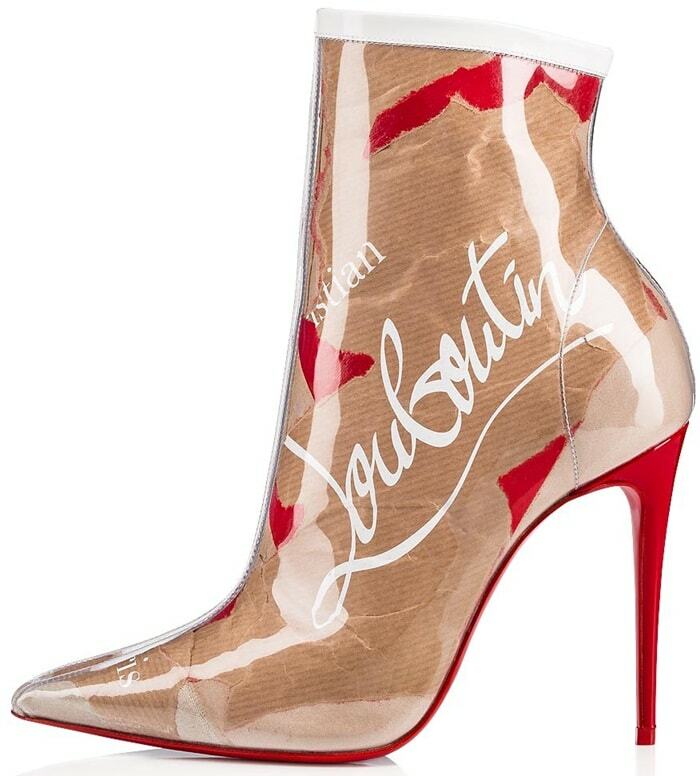 It features a slender silhouette with a pointed toe and dramatic arch leading to 100mm of a pure stiletto heel. 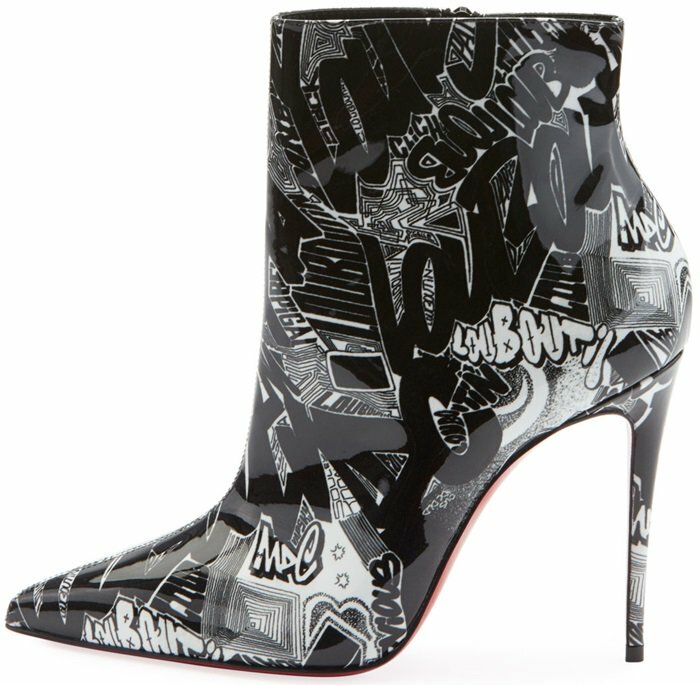 The French shoe designer has updated the So Kate silhouette with many new prints and graphics this season. 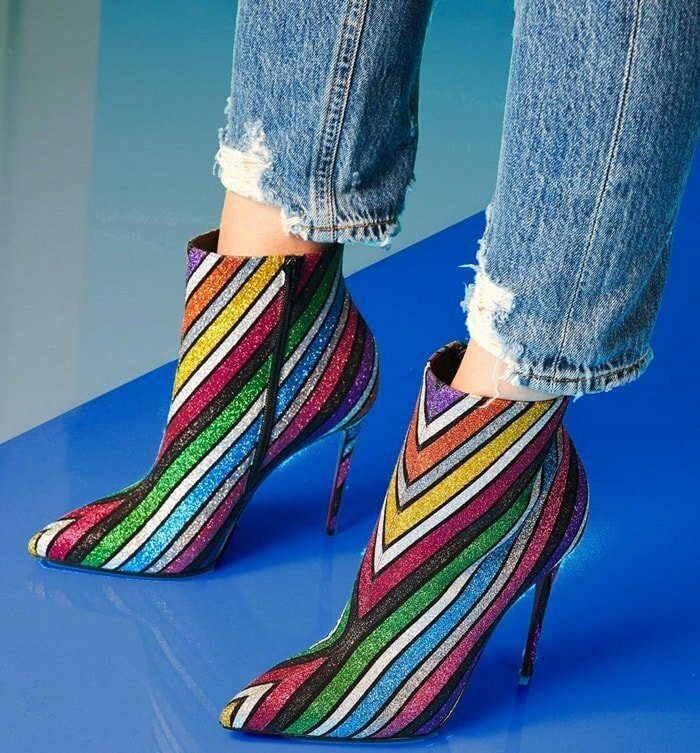 Below are just some of our favorites. 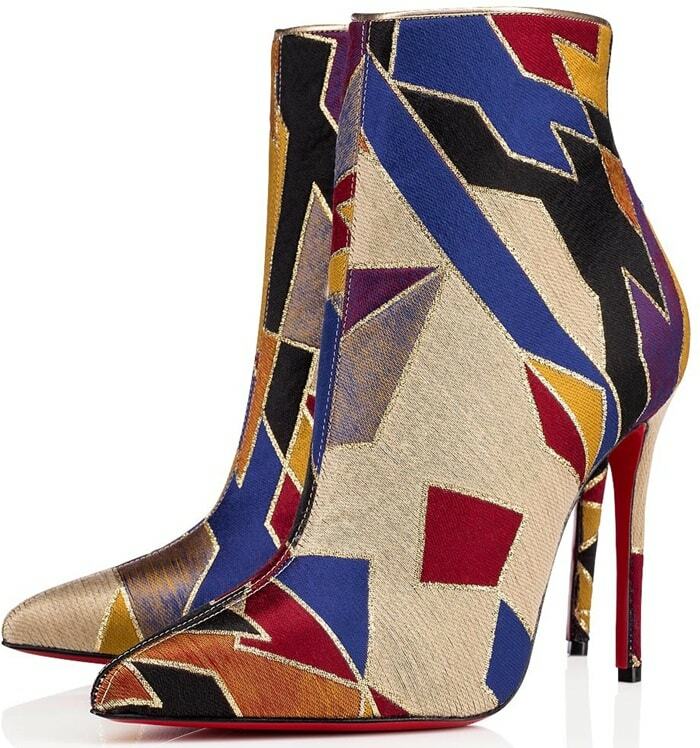 Also inspired with elegance by the fervor of disco, this stunning bootie combines audacity with refinement. 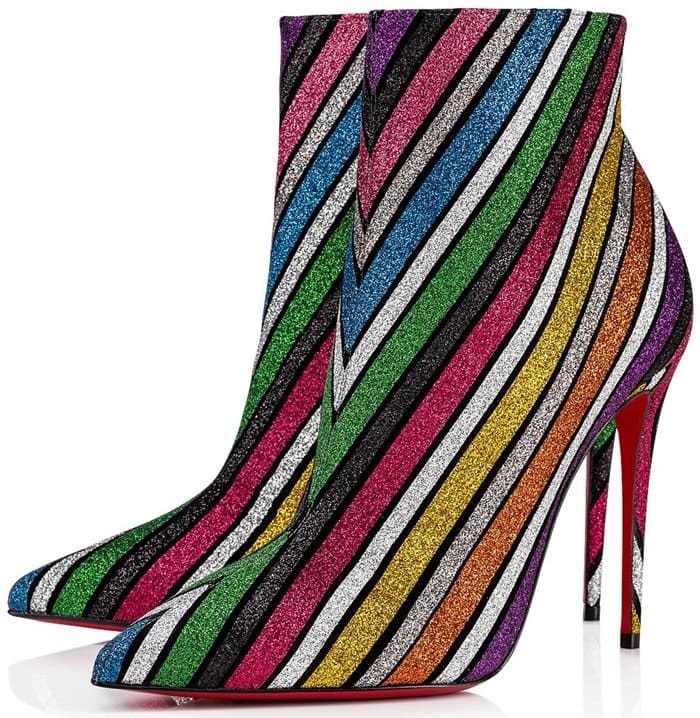 Made of suede and striped in multi-colored glitter, it cradles the foot with shine. 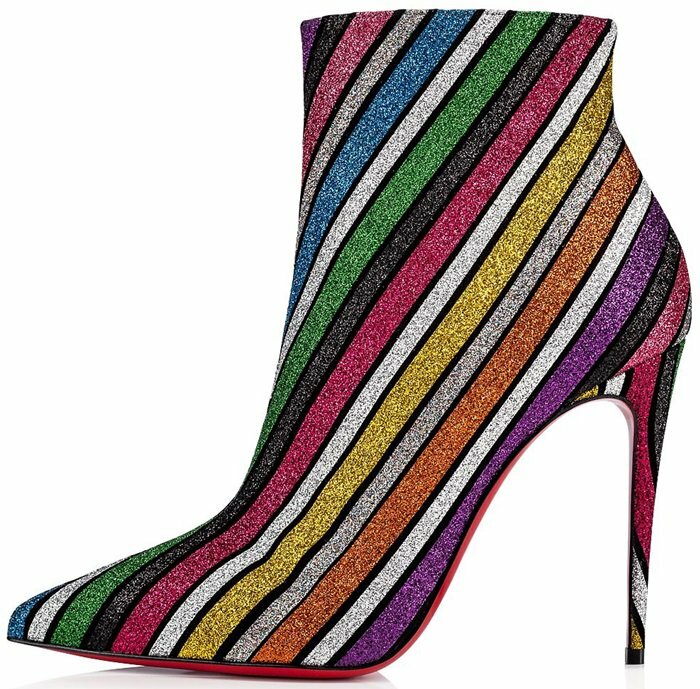 How do you like the Kraft Loubi pattern? 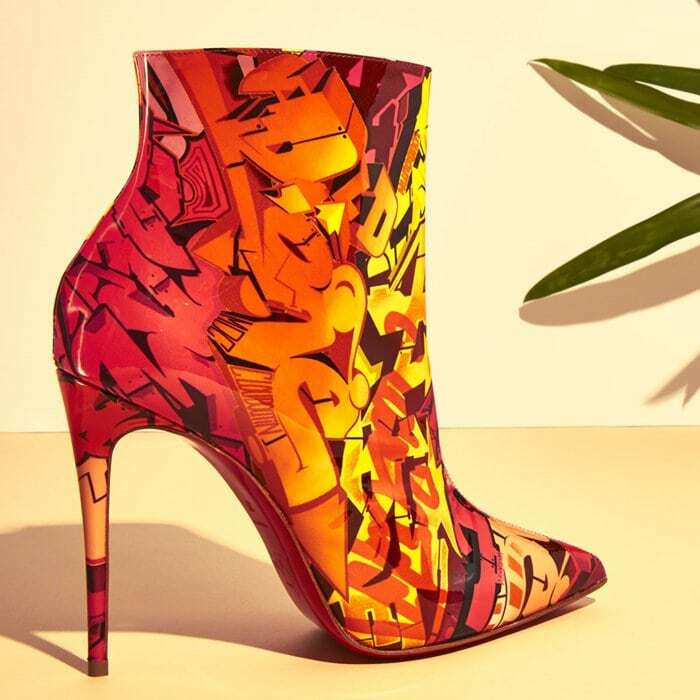 The slender So Kate silhouette sports a feminine arch leading to a pointed toe giving these 100mm stiletto ankle boots a sophisticated and dramatic look. 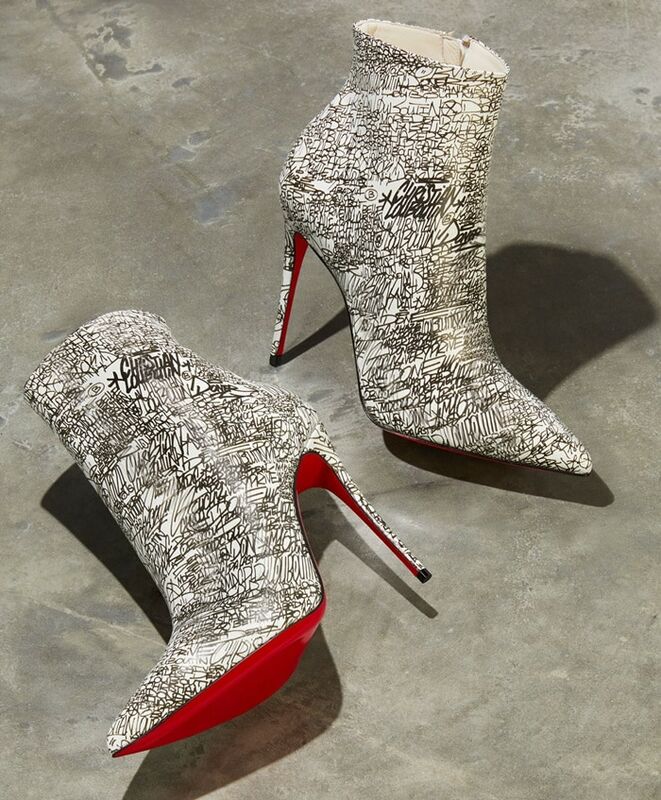 A jacquard brocade version of the LoubinTheSky studs, logo and pearl pattern dresses this statement piece’s quarters in gold, silver, red and black. 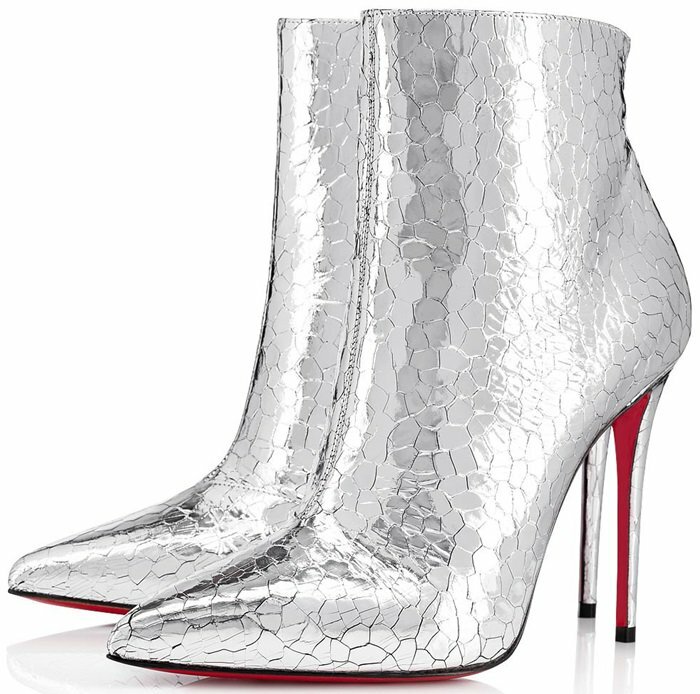 The silver ankle boots crafted in hammered specchio leather with shiny reflects represent both audacity and savoir-faire. 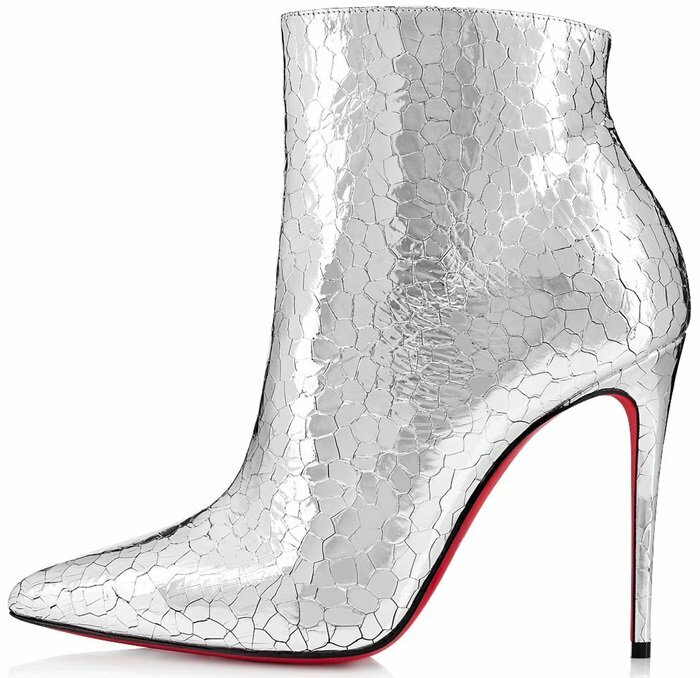 The pointed-toe model set on a 100mm stiletto heel offers a high upper complemented with a zip on the inner side. 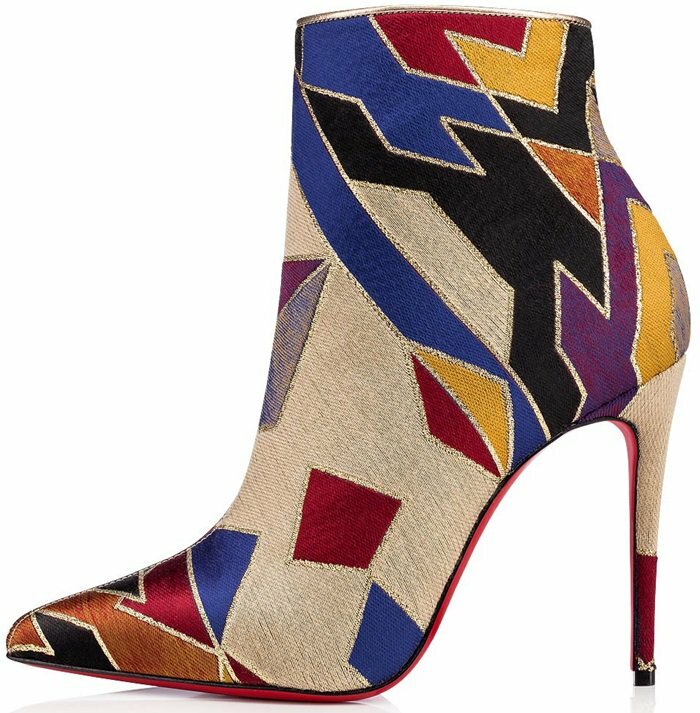 These booties are crafted in a geometric 1960-70s color-block fabric pattern.